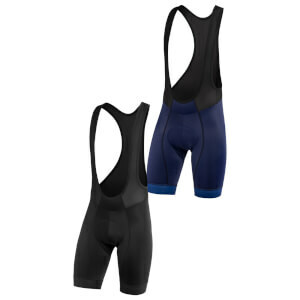 Our most advanced bib-shorts yet. 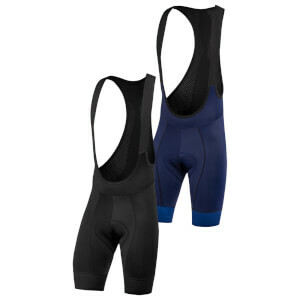 Premium cycling shorts with an industry leading dual density chamois pad, designed for riding, training and racing with all day comfort in mind. 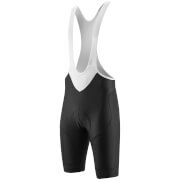 The Crux bib-shorts feature anatomically shaped panels keep the pad moulded to your body shape while soft mesh bib-straps provide excellent breathability. A special embossed Lycra fabric is used in high friction areas to aid heat dissipation, preventing irritation through chaffing during the ride. Aero Lycra panel fabric for improved fit and breathability. 215gm lycra compression for maximum support. 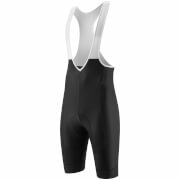 I recently purchased the PBK MEN'S CRUX BIB SHORTS. Man, I am so happy I did!. They fit great. snug as a bug in a rug. It keeps my stuff in place when riding. No need to adjust or anything. They are comfortable. The padding is right where it needs to be. After riding on these now for about 2 weeks they are still the same as when I tried them on when they arrived. I like the quality of the stitching and padding. The shoulder straps are grippy and work well. I ride almost every day weather permitting. These bibs are great. I hope they stand the test of time. These shorts are some of the best I have found for long days in the saddle. No chaffing or saddle sores after 9+ hours of riding. The only issue is the straps are a bit tight. I am 6'3" and wear a large, so it is not completely unexpected. I assume they will stretch over time and the issue will subside. Happy with purchase especially given sales price. Quality seems good and comparable to other higher end brands I own, e.g. Rapha, Castelli. I ordered L which I wear in Rapha, dhb etc. as some of reviews said runs big. Not accurate. It definitely runs small and is probably similar to Castelli sizing. This are my go to bibs. They changed the padding from the older models they had. I wish they would make them in blue like before. I would buy a lot more blue ones. Bought this for grand fondo and audax ride, only tried for short ride < 2 hours and proved the pad is excellent and grippers does not create rash. From initial impression, it is quality and excellent bib and hope this will last. I am 1.7M and 68KG, size M fits me well. Not too big and small, just nice to slot in and get firm hold by bib. You won't go wrong with this bib although it is inhouse brand but i am sure PBK has done their homework to create this. 3 purchases for 2018 as always, Top service and response time from PBK. A highly recommended retailer and the first place I will go to online for all my cycling requirements. Responses always come within 2 business days with all queries addressed. I'm 65kg, 1.7m. Legs on the chunkier side. Size S fits great. Have a great 2019 and for sure I'll be returning again then! I managed to get these in the sale and, for the price, these are really good quality with a very comfy pad. I would say that the fit is on the small size. I'm normally a Large in a Castelli and the large in these feels a little smaller, but still very comfy and supportive. Highly recommended - especially at the sale price! According to the size table, it's similar to Castelli S size, but it's really big. 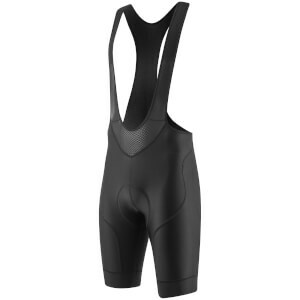 (similar to Castelli M size) But the pads and the shoulder straps are great.